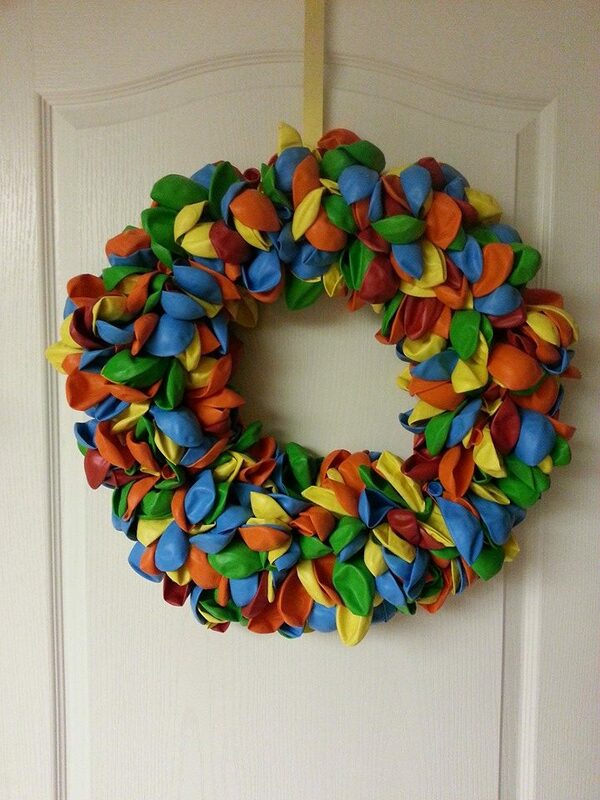 Sometimes balloon decor can be such an incredibly satisfying project, and this one absolutely was. 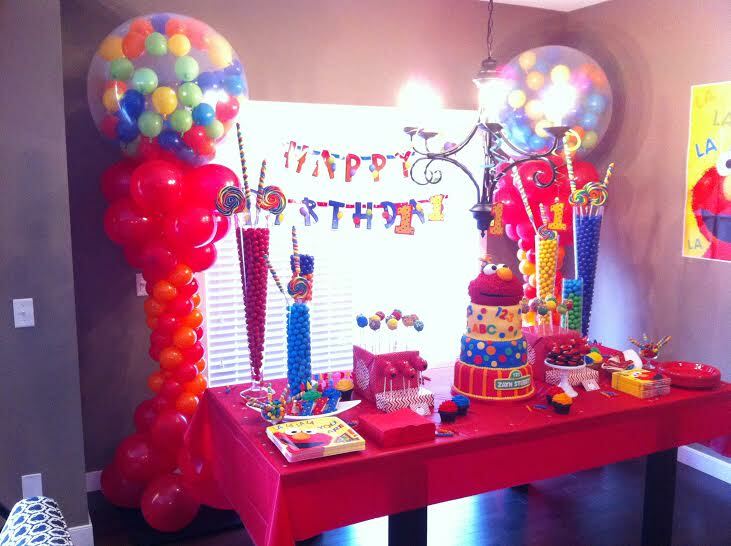 We were brought in to do some decor elements for an Elmo themed birthday party and I fully expect I may never see a 1 year old’s birthday that elaborate ever again. 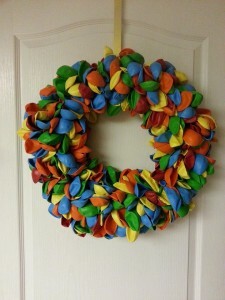 We did gumdrop column (pictured bellow), a rainbow garland, some interesting ballon clusters and this really fun ballon wreath (also pictured bellow).